It is currently 11:00pm on Monday night & I am just now getting around to writing this post. Life has been nonstop here. School, golf, dance, church, PTO stuff ... repeat. But as crazy as this little thing called life is, I love it! 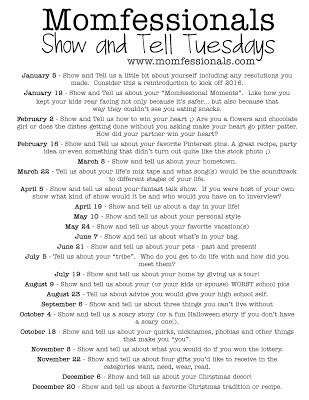 Every other Tuesday I link up with Andrea for Show & Tell Tuesday & we share something about one topic. Today's topic is 'share some of your favorite blog posts ever'. Eeeeek! This topic has been one of my favorites so far. 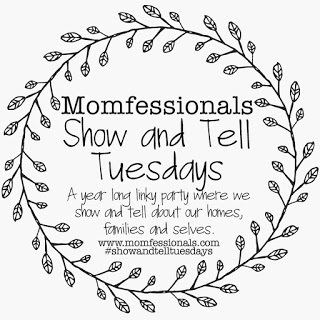 I started blogging August of 2015 & my life during that time was just a huge mess. Like, I'm talking a big ol fat one. But when I started looking back on all my posts, I see just how much God has worked in my life, my hubby's life, my children's life, my marriage & my family. I know I say it a lot, but He is SO good! Let's take it all the way back to August ... my second blog post ever. It's when I shared our home with you for the very first time. We have only been here a year & a half but it already looks so different. We are loving so much making this house our home! Next up, my Three Things Right Now posts. I've said it before & I will say it again, I love these posts. Andrea nailed it when she came up with this idea. Yes, I totally got it from her! :) It's just such a good way to look back on this season of life. You can only imagine the joy I felt the day I shared this post with the world. Only to share this one two weeks later & then later that month this one. I will always miss my baby girl. You may be thinking 'why are these some of your favorite posts?' These posts are chapters of my story that God is writing. Not necessarily ones I asked for but how sweet it is to have complete faith in Him & know that He is & continues to use this for His glory & His glory alone. If you know me then you know I love ... I mean LOVE birthdays! It's only natural that I love all posts birthday :). Pretty much every post I have shared about Dan & our marriage has been some of my favorites. Especially this one that I posted back in March. We have gotten through SO much together. Oh my heart, to look back & think where we were this time last year & where we are today. Marriage is beautiful & so worth the fight! I better stop here for today though! And here is a look at the upcoming topics . . .
Before I go I'd like to ask for prayer for a fellow blogger, Shay over at The Mix & Match Mama blog. They are getting ready to bring another baby girl home from China. Please keep them in your prayers! And if you aren't already following her, then you totally should be! Found you through today's link-up. Really enjoyed taking a look at your blog!